Many of the healthy active ingredients in bilberries, as well as in other colourful berries like blackcurrants, black crowberries, elderberries and cranberries, are found in the skin. The skin of the berry is where many of these important health-giving substances are found – including anthocyanins. Based on over 20 years of research at the University of Bergen, and cooperative research efforts between the university and Medpalett's research lab in Sandnes spanning several years, we developed a natural anthocyanin product using only the most health-giving anthocyanin molecules. Using our patented proprietary manufacturing process, we can concentrate a record amount of anthocyanins into each capsule. This allows us to provide everyone with anthocyanins all year round. 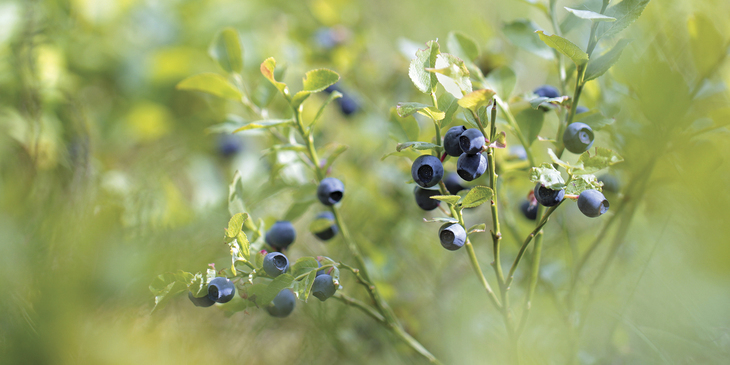 The bilberries in Medox are picked in the forests of Northern Sweden and frozen using a special technique that preserves the active ingredient until it is made into capsules.